After getting back from New York, two of my family members came and picked me up. 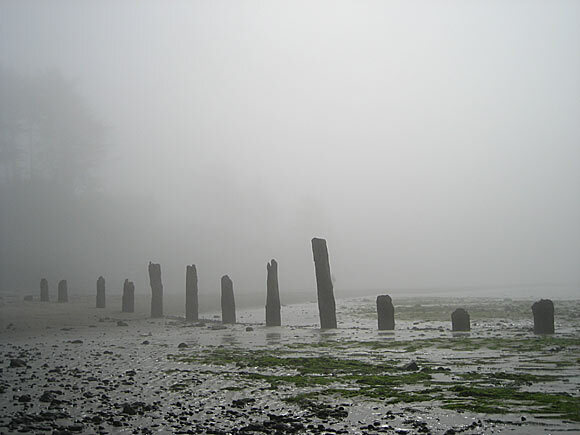 We drove up the Oregon coast, spending a night in the misty town of Netarts before heading up through Astoria, cutting across to the interstate and up to Seattle. 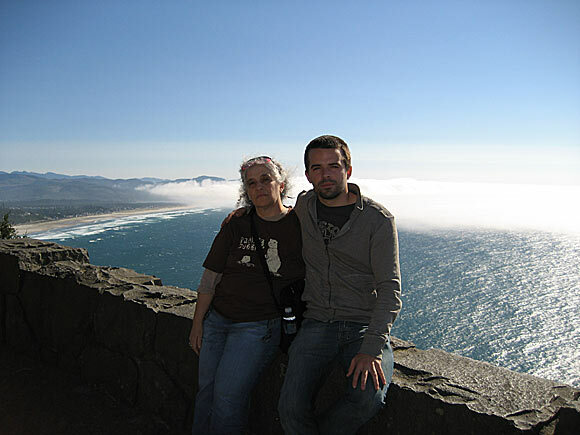 The hi-light of the trip is a triple tie between seeing Astoria and the ocean from the top of the Astoria Column, the self guided tour of the Tilamook cheese factory, and taking the train back to Portland from Seattle. The low-light was one of the worst cheeseburgers I’ve ever had that was purchased in the bustling restaurant of the cheese factory. According to my dining party, the coleslaw tasted like manure too. 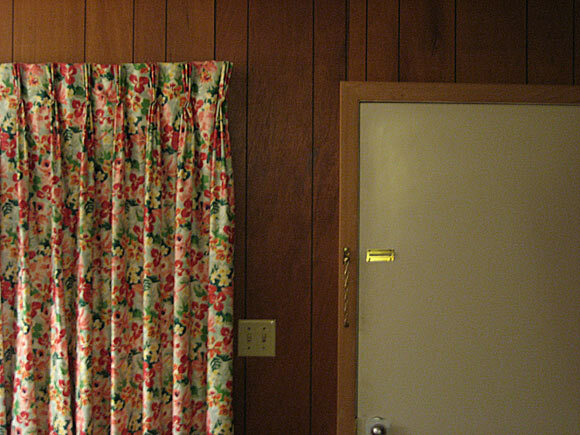 The interior of the beach motel, same as the day it was built. 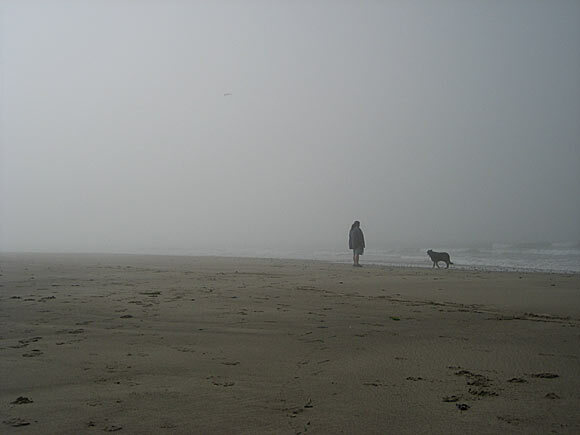 The foggy beach near Netarts. Group shot at a vista overlooking Manzanita. 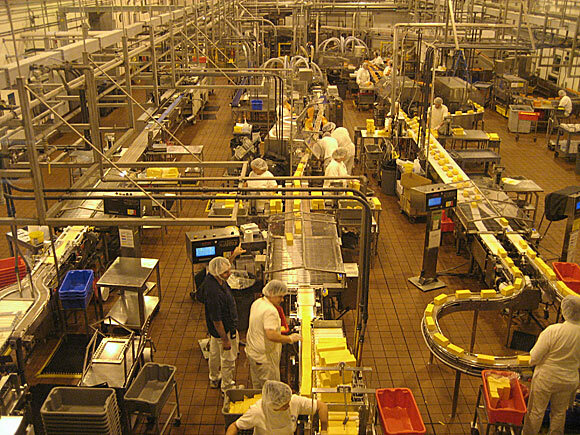 The factory floor at Tilamook cheese factory. 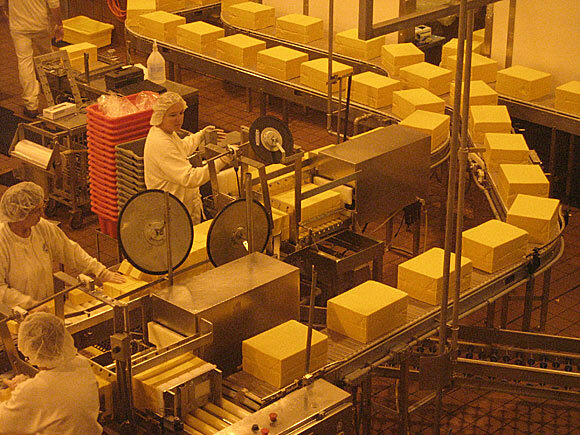 Large blocks of cheddar going down the belt to get subdivided. 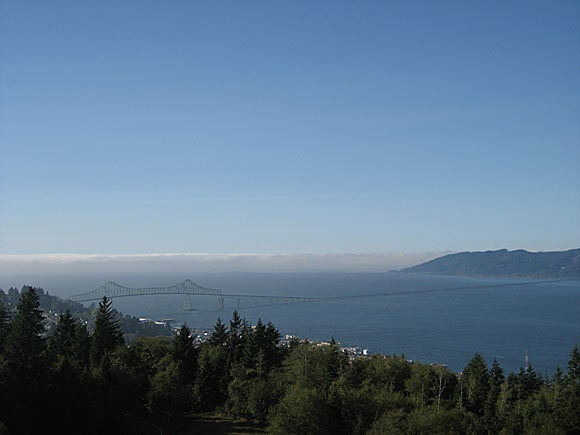 The Astoria bridge seen from atop the vertigo-enducing column at the top of the hill. 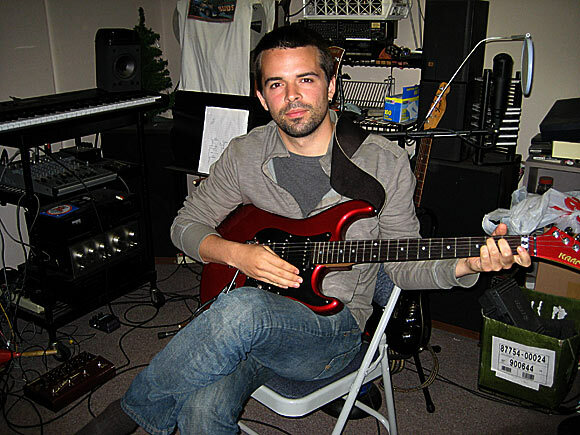 Me in the neighbor’s basement during jam night. 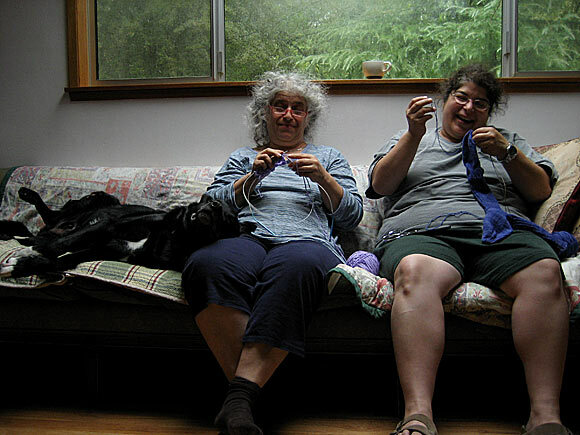 The knitting ladies of the couch. 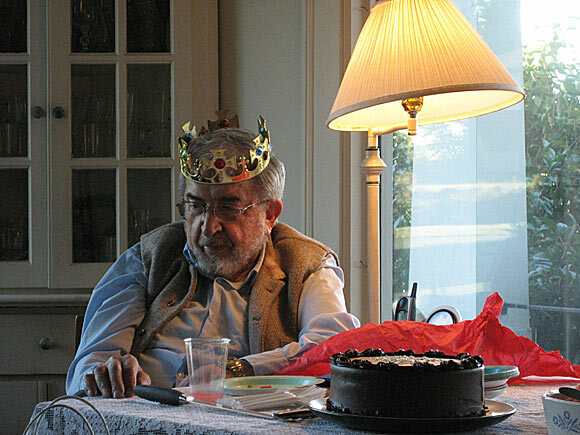 The family patriarch celebrates his 82nd birthday. The family winery in the basement. 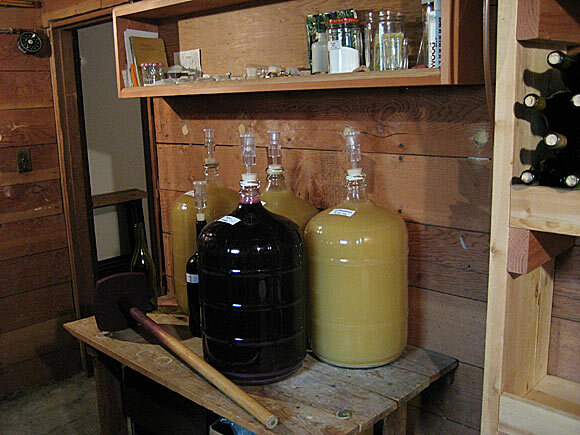 Each fermenting bottle will yield 15 bottles of wine. During the fermentation process, gas bubbles up through a special seal on the top, the brew slowly becoming more clear and delicious. The cellar has family wine as old as 1985. 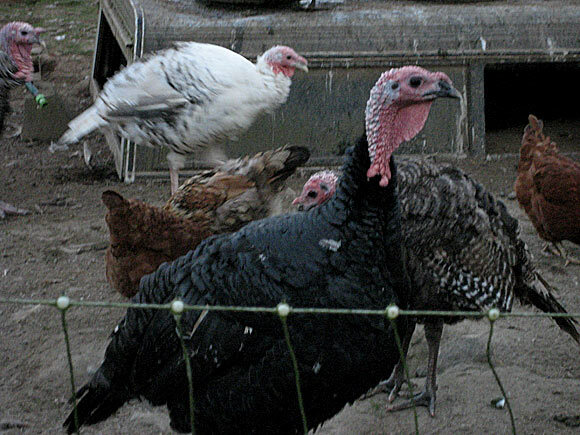 Turkeys and chickens on a friends farm in Arlington, an area Northwest of Seattle. 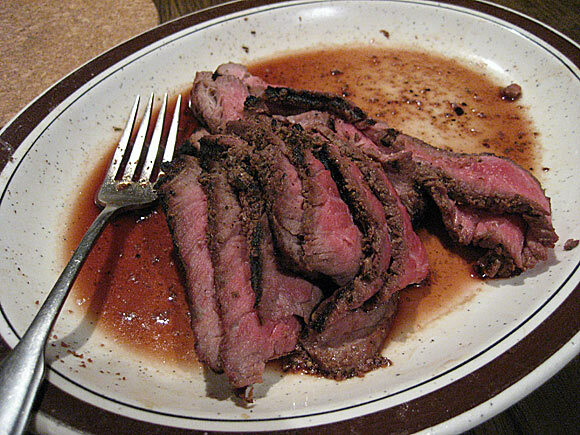 Beef from a delicious dinner served on the farm. The beef was from a cow named Orlando that I had petted and hand fed just a year earlier. They always said it’s best to know what’s in your meal. This time, I knew who was in my meal. 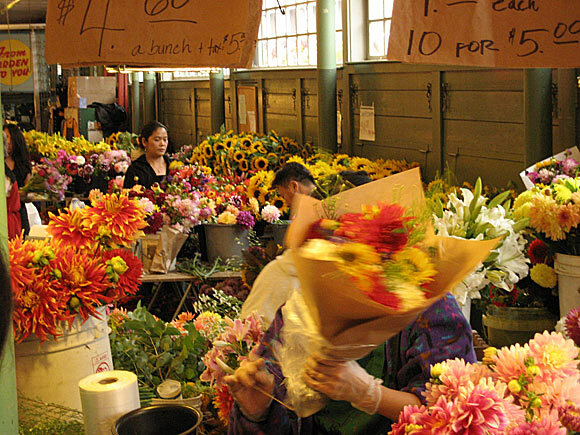 The flower stand at Pike Place Market. 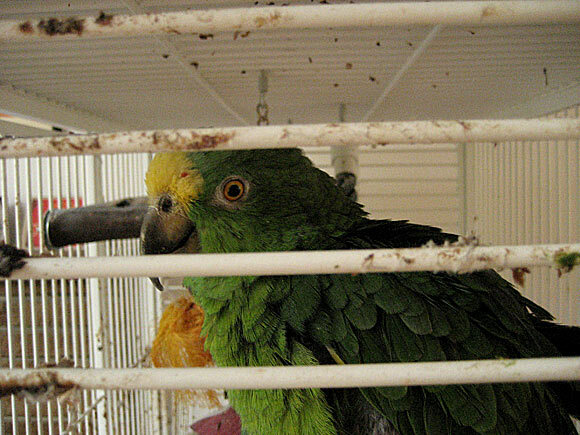 Gringo, the family parrot. A constant source of entertainment and bizarre memories as it channels the voices and laughter both living and dead relatives. I wish more animals could talk. 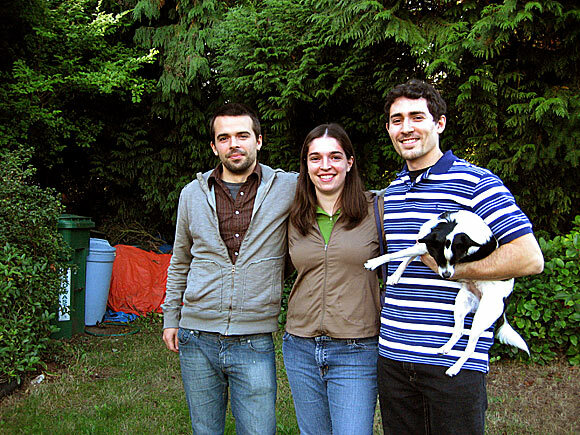 It’s very nice to see the pictures of you and your family, including the family parrot that you once told me about. If more animals could talk, I think the first thing they would do is to complain about how badly we human being have been treating them. Maybe they have already complained, but we are too deaf to hear. 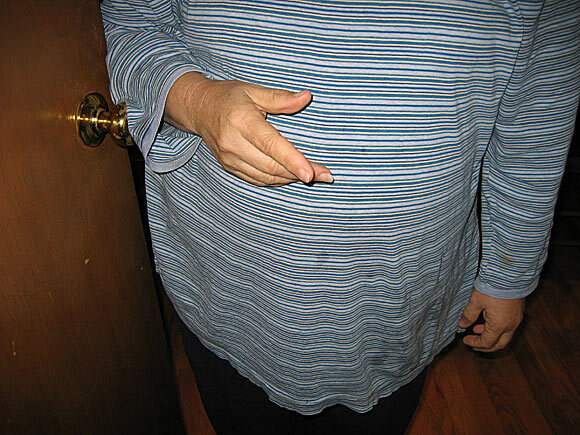 hahahaha you’re relatives look so much like you! awesome. those cheese blocks would make good chairs. 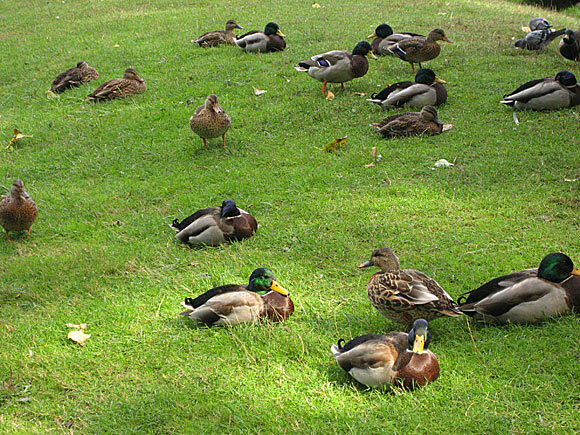 …tho, admittedly, that would require them to talk after being killed, which i guess no animals do. but still. go veg!